This particular version of the MSA MicroMaXX comes with the 3S full face mask and an empty cylinder. The MSA MicroMaXX is self-contained breathing apparatus, made up of a compact pressure reducer, a 3 litre composite cylinder, rugged demand valve AutoMaXX®-N, a multipass harness with integrated soft bag and a full face mask. The MicroMaXX is always ready for use. The demand valve AutoMaXX®-N can be disconnected if needed. The 3l composite cylinder allows for a service time of approximately 18 minutes. Maintenance requirements for the MSA MicroMaXX are extremely low. 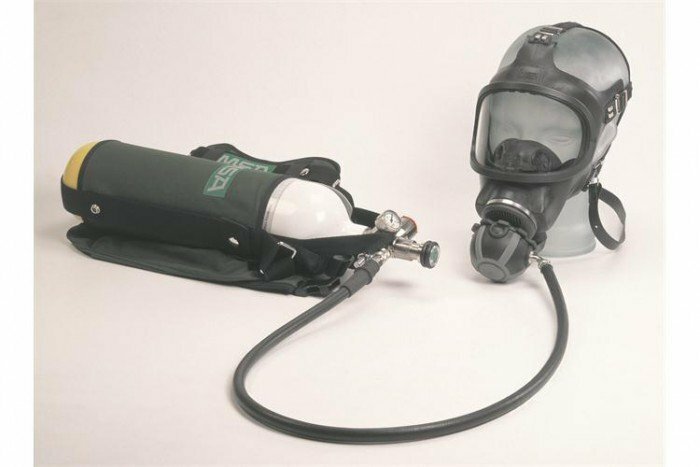 This SCBA from MSA has many advantages to its user such as its flexibility, light weight and its convenience to adapt to all requirements. The MicroMaxx is able to be donned quickly and is reliable and robust.